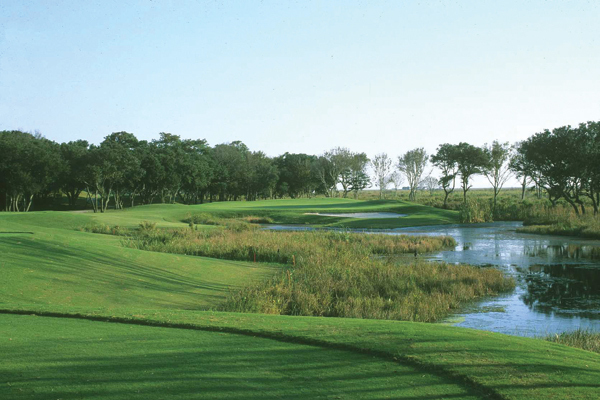 Golf around North Carolina’s storied Outer Banks represents an outstanding selection of fun and affordable yet quality golf courses — along with eclectic accommodations and a plethora of off-course activities that have transformed the Outer Banks into a mini-Mecca sportsman’s paradise. Here are 9 “shore” things that make the OBX a perfect destination for a spring golf trip. 1. A famous expression coined long ago at Cahoon’s Grocery and Variety Store in Nags Head goes, “If we don’t have it, you don’t need it.” This OBX motto could easily be applied to its golf. From true barrier island links courses to modern parkland marvels located inland, the region is so chock full of variety, golfers truly don’t have to go anywhere else. The challenges at The Pointe, The Carolina Club, Nags Head Golf Links, Kilmarlic and The Currituck Club are as spectacular as the coastal views they possess. There may be no better location for an affordable and memorable spring golf getaway than the Outer Banks of North Carolina. 2. A spring golf trip to OBX is all about tee times, shots along the sound, and an array of before and after-golf dining options that include selections pulled directly from nearby waters and then freshly prepared by local chefs. Ask any regular visitor to OBX and he or she will most likely clue you in about breakfast at Sam and Omie’s, lunch at Tortugas’ Lie, Kill Devil Rum tastings at Outer Banks Distilling, dinner at The Blue Point and OBX Trio, not to mention takeout from Currituck BBQ Company or in-home catering from Red Sky Cafe. 3. Afternoon drives take on a whole new meaning along the coast just minutes north of Rees Jones’s 18-hole gem known as The Currituck Club, the grandest design along the coast “sculpted on the type of land where golf began” among 600 acres of dunes, wetlands, maritime forests and sound seascapes. There, a unique après-golf excursion unfolds in the form of 12 miles of beachfront that is only accessible by four-wheel-drive vehicles. Known as “beach riding,” this one-of-a-kind activity leads you to nothing but sun, sand, ocean, some vacation rental homes and those wild Spanish mustangs that can be found grazing in an untamed area called the “Corolla Outback.” Spotting the feisty horses is a popular OBX pastime. 4. Every time golfers tackle historic Nags Head Golf Links, they find themselves facing a different challenge. 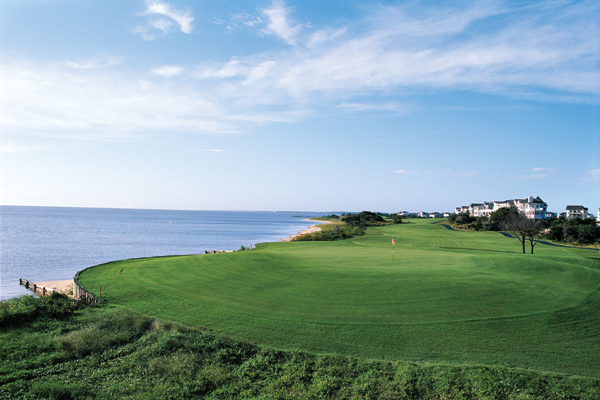 Crafted by Bob Moore, Nags Head plays hard along the inner waterway on the southern end of the Outer Banks, where capricious breezes off sound-side waters create a unique golfing experience each and every day. With its coastal winds, rugged shoreline, island holes, seaside vistas, and tees and greens are separated by rolling dunes and wild sea grass, Nags Head bears far more than a passing resemblance to the famed Scottish golf links. 5. You don’t have to travel far from your place on the beach to find great interior golf at the Outer Banks. Golfers who haven’t already played one of the designs located at the gateway to the beach on the way into town don’t have to backtrack very far. 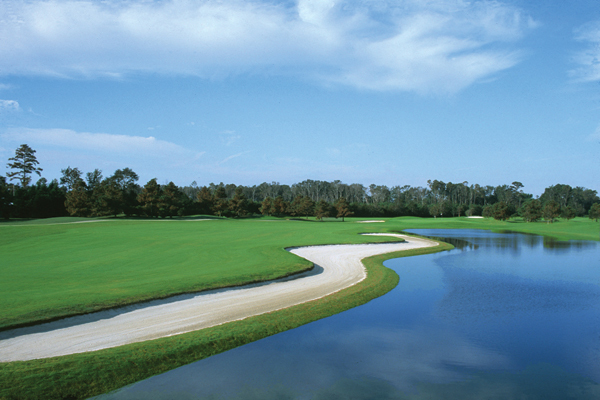 Located just across the Wright Memorial Bridge (one of only three vehicle access points connecting the island with the mainland), The Pointe Golf Club is the first in a sequence of championship golf courses — layouts close to the sounds and ocean but more parkland in settings. The course is also said to be the first in the country to have the A-1 bent grass — a dense, disease-resistant strain — installed across its corridors. 6. Golfers can dip their toes in the Atlantic Ocean 10 minutes after a round of golf at Kilmarlic Golf Club — a popular Tom Steele design nestled along the marshland of the Albemarle Sound and host course for both the 2004 and 2009 North Carolina Opens, as well as annual host of the Old Dominion/Outer Banks collegiate championship each autumn. 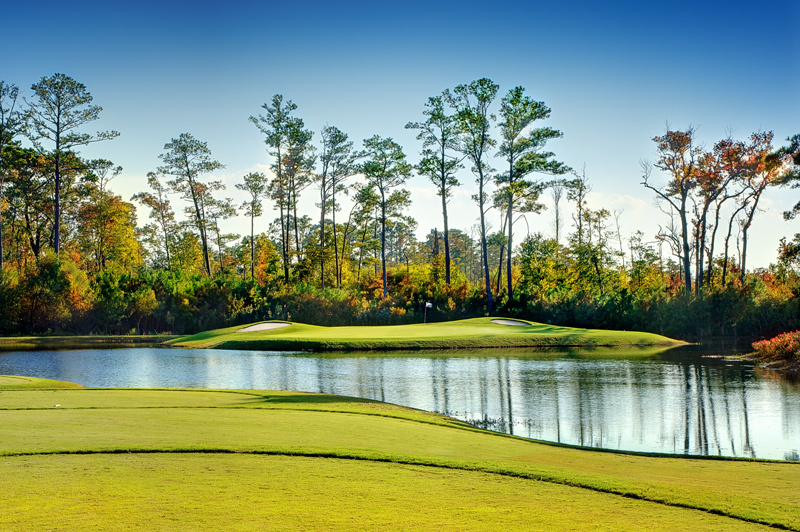 A wonderful mainland course amidst 605 beautiful acres of maritime forest provides a pure OBX layout with water and wetlands virtually in play at all times. 7. 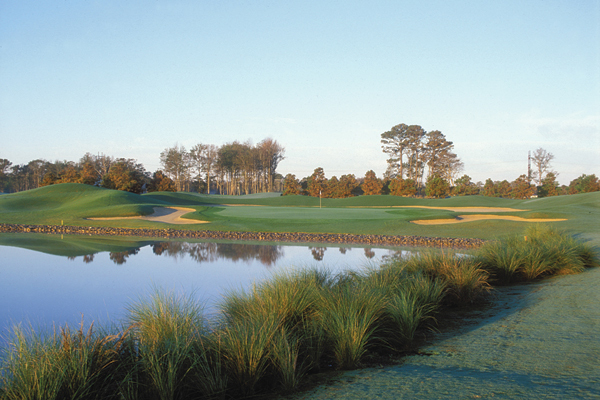 The Pointe Golf Club’s sister course is The Carolina Club. Highlighted by a memorable par-3 island green No. 7, The Carolina Club’s positioning as the first course heading into town from the north and last one on the way out makes it the ideal play on either side of your OBX fall golf vacation. 8. 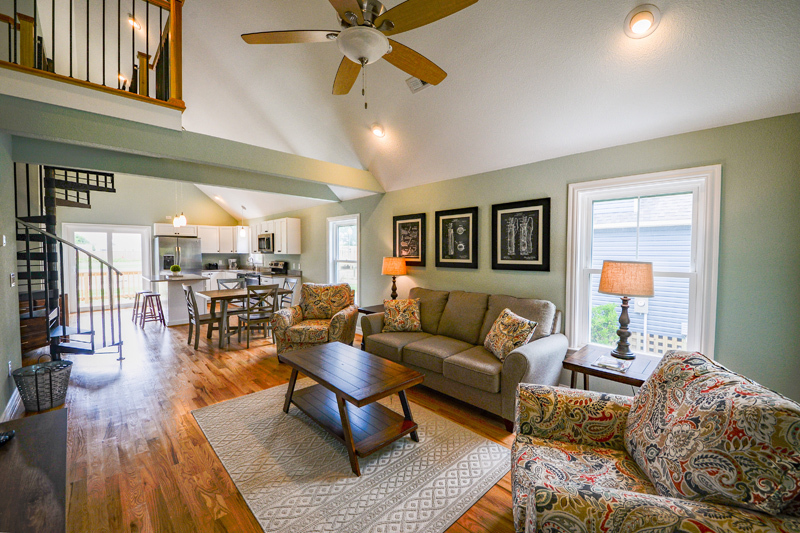 A wide range of top-shelf and equally eclectic accommodations can be found all along OBX, including the new fully-equipped Kilmarlic Golf Cottages featuring golf course views of the championship course, along with access to a 5,000-square foot, lighted putting green and a four-hole Short Course. If your group prefers to be closer to the shore, you can choose from a vast array of beach or sound-side homes that range from one-bedroom condos to multiple bedroom estates. Then, rest up between rounds at any number of privately-owned vacation residences with luxuries such as private pools, pool tables, high-definition televisions and much more. 9. 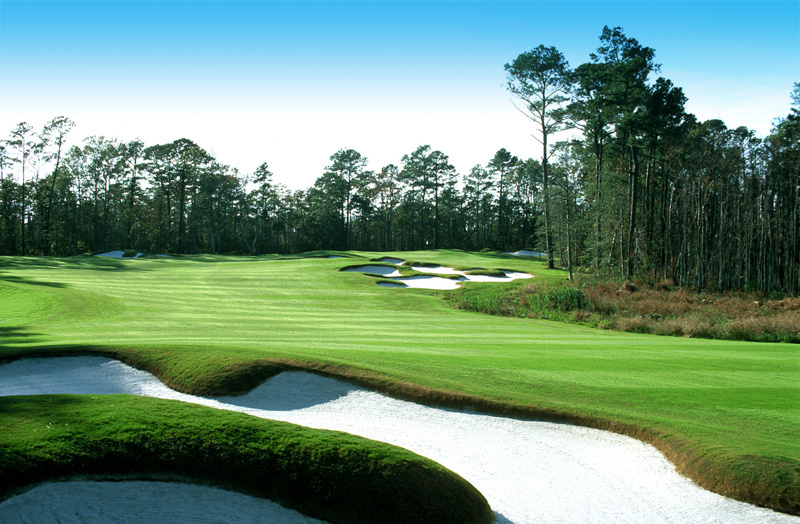 “Away from it all” is how golfers feel teeing it up on any one of the outstanding golf courses located in the OBX. But don’t think for a moment that this coastal destination is bereft of things to do once your group’s round of golf is complete. When not standing on a green or tee box looking out across the ocean or a sound, golfers can stay busy living the good life in quaint villages and towns with funky names like Currituck, Corolla, Coinjock, Nags Head, Kill Devil Hills, Duck and Kitty Hawk. For those who like hunting lighthouses as much as they do birdies, the region is well known for a beautiful string of lighthouses that stretch from Corolla in the north all the way to Cape Hatteras in the south.